Quite amazing that financial companies in Thailand and institutions keep bouncing back after all the setbacks, financial crises and scandals that have plagued this region in recent years.. Obviously money talks and the people who are talking and driving the economy of Thailand have their money safely deposited in the bank. The Stock exchange of Thailand is thriving and more and more private and corporate investors are trying their hand at the money game. A booming business is opening up to take care of these fledgling investors, offering financial advice at a handsome fee. These new semi affluent middle classes with their new found disposable incomes are looking to dispose of them in a careful, controlled and calculated way. Banks and financial institutions are offering a full range of financial products from home loans and car loans to investment portfolio planning and life assurance. 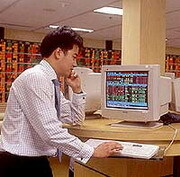 More and more companies are opting to list on the Stock Exchange. This procedure is not always straightforward. A recent listing application has twice been delayed. The reason - public demonstrations mainly by Buddhist civil organizations. There remit to thwart the attempts of Thailand's largest brewer to go public. "Public morals are at risk" they cry. Just a few streets away the nations morals are openly on display in the girlie bars of Soi Cowboy and Nana Plaza. A new member of parliament runs the largest chain of massage parlours in Thailand. On the top of this financial corruption, kickbacks and tax evasion is a national scourge. Thailand has a long way to go before it can rank itself on par with the financial kingpins of Southeast Asia like Singapore and Hong Kong. On the corporate level companies are seeking solutions to their financial problems. Nowadays instead of filing for bankruptcy refinancing is sought. There are financial companies and financial consultants adept at bringing companies back from the brink and back into profitability. New companies and old are seeking strategic partners or looking for venture capital to fund their new products or capital purchases. A few weeks ago I was contacted by a farang who had a bright idea of buying land on Koh Samui and seeking venture capital to finance the purchase and development. Good luck to him - a tough market and with land prices amongst the highest in the Kingdom of Thailand I think a very risky proposition. Acap Advisory Public Company Limited. American Express (Thai) Co, Ltd.
Asia Credit Estate & Finance Co.Ltd. Asia Credit Public Company Limited. Asian Trade & Leasing Co.Ltd. Ayudhaya Investment And Trust Co.Ltd. B.B.L. Asset Management Co, Ltd.
B.C.C. Finance And Securities Ltd.
Bangkok Capital Alliance Co, Ltd.
Bangkok Central Leasing Co, Ltd.
Bangkok Commercial Asset Management Co, Ltd.
Bangkok Grand Pacific Lease (Public) Co, Ltd.
Bangkok Nomura International Securities Co.Ltd. 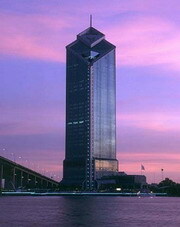 Bangkok Sakura Leasing Co, Ltd.
Bangkok Tokyo Finance And Securities Co.Ltd. Bara Development Finance & Securites Co.Ltd. Bara Sumi-Thai Leasing Co, Ltd.
Bnp Prime Peregrine Securities (Thailand) Ltd.
C.M.I.C. Finance And Securities Co.Ltd. Central Credit Information Services Co, Ltd.
Chao Phaya Finance And Securities Co. Ltd.
Chao Phaya Financial And Trust Co.Ltd. Chaophaya Finance And Security Co.Ltd. Charoenkrung Finance And Securities Co.Ltd. Commercial Software Services Co, Ltd.
Country Finance And Security Co. Ltd.
Credit Agricole Indosuez Bank Ltd.
Credit Foncier Ch. Amornphan Co.Ltd. Credit Foncier English Premruethai Co.Ltd. Credit Foncier Unico Housing Ltd.
Crosby Capital Markets (Thailand) Ltd.
D.K.B. Leasing (Thailand) Co, Ltd.
Diegi Kang Ngiew Bank Co, Ltd.
Diners Club (Thailand) Co, Ltd.
Equinox I.C Enterprise Co, Ltd.
Far East Allied Development Co.Ltd. Forward Credit & Investment Co.Ltd. Global Thai Finance And Securities Co, Ltd.
Grand Trust And Securities Co.Ltd. Ing Mutual Funds Management (Thailand) Co., Ltd.
Inter Credit And Trust Co.Ltd. International Trust & Finance Co.Ltd. Kamol Sukosol Investment And Trust Co.Ltd. Kesit Finance & Securities Co.Ltd. Krungthon Trust & Finance Co.Ltd. Lila Finance And Securities Co.Ltd. Metropolitan Finance And Securities Co.Ltd. Metropolitan Investment And Trust Ltd.
Mithai Europartners Finance And Securities Co.Ltd. Morgan Grenfell Securities (Thailand) Co.Ltd. Mutual Fund Public Co, Ltd.
N & T Group Co.Ltd. Nam Thai Credit Investment Co.Ltd. National Finance Public Co., Ltd.
One Asset Management Co., Ltd.
Overseas Bullion International Trading Co., Ltd.
P.C.C. Processing Group Co., Ltd.
Pacific Finance And Securities Ltd.
Patanasin Finance & Securities Co.Ltd. Plaza Credit & Investment Co.Ltd. Premier Finance And Securities Co.Ltd. President Business & Fund Co.Ltd. Ruam Thai Development Trust Co.Ltd. Saha Asia Finance & Securities Co.Ltd. Sahamitr Realty And Investment Co.Ltd. Seamico Securities Public Company Limited. Siam A & C Co., Ltd.
Siam City-Showa Leasing Public Co., Ltd.
Siamfn Investment Advisory Co., Ltd.
Sinn Bualuang Public Co., Ltd.
Thai Bank Public Co., Ltd.
Thai Farmer Bank Public Co., Ltd.
Thai Smart Card Co., Ltd.
Thanachat Finance And Securities Co., Ltd.
Thananant Finance & Securities Co., Ltd.
Trinity Watthana Public Co., Ltd.